Last weekend was a tough time in my blogging career since, as many of you noticed, my blog was infected with malware. I’m grateful to my web host and especially to Jack Norris for helping me navigate through the ordeal. In fact, if I couldn’t go whining to Jack every time I have a problem with my blog, I don’t think I could even have a blog. So if you find any of the material here helpful or interesting, please consider making a donation to Vegan Outreach. Or you could buy yourself some treats from Pangea through Jack’s blog since it generates a little bit of income for him while also supporting a vegan business. And while you’re over in his neck of the woods, take a peek at Jack’s new online resource PeaCounter. This is a nutrient analysis website that puts the bulky USDA food database into a user-friendly format. You can look up individual foods or calculate your daily intake of whichever nutrients you like. If you want to know whether you’re getting enough zinc or magnesium or calcium, this is an easy way to find out. In other news, a new study from researchers at the Harvard School of Public Health suggests that red meat is associated with a shorter lifespan, adding to the evidence that eating lots of red meat is probably not too good for you. 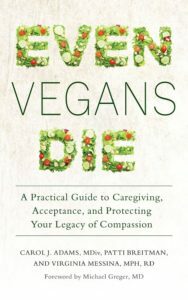 I’ve written before about why a focus on red meat isn’t a good message for veganism, and this study reinforces my belief about this. The researchers concluded that replacing red meat with other sources of protein would reduce risk for chronic disease and early death. The best protection was seen when people ate nuts instead of meat. 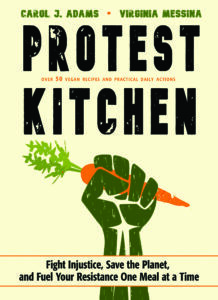 But this study also found that replacing red meat with poultry was more protective than replacing it with legumes. Now, I don’t believe at all that eating chickens is better for you than eating beans. This is just one study, after all, and it’s the type of research that shows associations, not cause and effect. But, we can’t pull what we like out of this research and ignore the rest. There is no reason to expect people to decrease their total intake of animal foods based on this particular study when it doesn’t suggest a benefit of doing so. Instead, it encourages a consumption pattern that could increase animal suffering. 1. lack of transparency, don’t know what cohort this, but it appears to be a retrospective cohort which is subject to recall bias, Also, don’t know who paid for the study, conflict of interest is not transparent. It would be nice to take a look at the abstract or full article if it is available. 2. 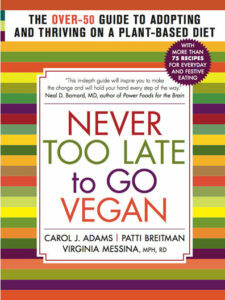 Ginny, you mention that the study found that switching from red meat to poultry was more protective than legumes (not much 14 percent vs. 10 percent) but didn’t include that switching to nuts was greater than chicken (19 percent to 14 percent) and that switching to whole grains appeared to be equal to poultry (14 percent). I agree we can’t pick and choose. But I see a different vegan health picture here. 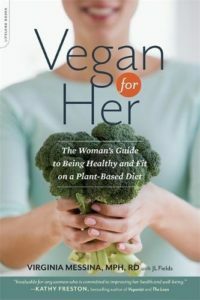 Switching to vegan foods overall nuts, whole grains and legumes was equal or more protective than substituting animal products (poultry and low-fat dairy). You write that we can’t pick what we like in research and ignore the rest. I agree. I just find it ironic you did just that regarding the study results. It may come as fair to say that Ginny has missed information or not reported all of the information here. It does not come as fair to say that Ginny has picked what she likes in the research and (willfully) ignored the rest… with the implication that she’s ignored any information which might weaken her position. That said, thanks for the information you’ve provided, and the link. Ok.. got the abstract. http://www.ncbi.nlm.nih.gov/pubmed/22412075 It’s prosepctive cohort studies, 2 of them Health Professionals Follow Up Study, and Nurses Health Study. Issues with these cohorts have been raised before. The baseline is relatively high fat (low fat is 29 percent , in the China Study, low fat went down to 6 percent), and high in animal protein. So, it really doesn’t say anything about vegan health when the baseline is pretty animal based to start with, high in fat and and high in animal protein. Imagine 100,000 people were smoking 3 packs a day of cigarettes and you studied the health differences between 2 pack a day smokers and 3 pack a day smokers. Would you expect to see much of a difference? It’s a horse that won’t run. What I find interesting is that inspite of a relatively unhealthy baseline, nuts provided such a boost, a decrease of overall mortality of close to 20 percent. The adventist studies have claimed, I believe, a reduction of close 50 percent in sudden stroke death or cardiovascular disease with one serving of nuts per day. Thanks, Paul. I did note that nuts were most protective of any type of food. But my point is not to relate this study to vegan health, or to defend or challenge the findings. My post was about why it isn’t good to use this particular study in our vegan advocacy. The point is that most omnivores will look at these results and conclude that it’s okay to eat animal food–as long as the animal food isn’t red meat. Whether or not this is actually true is not the point here. It’s what *this* study shows and, therefore, this study does not help us promote veganism. Thank you for the correction. You did mention that nuts provide the best protection. And then went on to compare seperately that because of a comparison of poultry to legumes this was not the best study to promote vegan health. You left out whole grains as equal to poultry. And legumes as equal to lowfat dairy. It’s your conclusion that puzzles me. “There is no reason to expect people to decrease their total intake of animal foods based on this particular study when it doesn’t suggest a benefit of doing so. Instead, it encourages a consumption pattern that could increase animal suffering. I wouldn’t site this study to be sure because of the cohort problems. But nuts, grains and legumes did better together than poultry & low fat dairy. Agree to disagree. You’re right, this study and report does nothing for vegan or vegetarian diets. 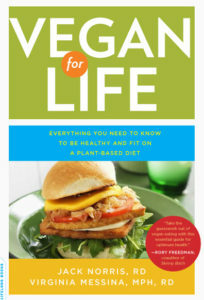 I actually don’t know a single other vegan or vegetarian, so when this report became big news I noticed that everyone around me simply said that they would eat more chicken and fish. They did not say that they would eat a handful of almonds in place of their steak tomorrow (I’d wager that no one on Earth said that). And why eat beans if they are worse than poultry, right? I was excited when this first showed up on the news, but the talk going on around me quickly brought me back to reality. Glad you fixed the harms someone attempted on your blog – As we know in the RW and online some folks can be malicious buggers!